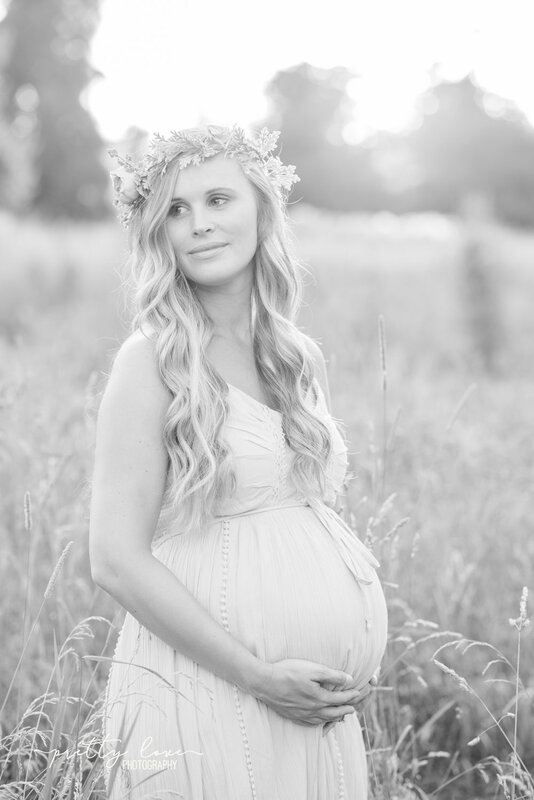 I just couldn't wait to post Kerry's blog! I should name this blog three gorgeous girls! To say Kerry is glowing is an understatement. She is Radiant! 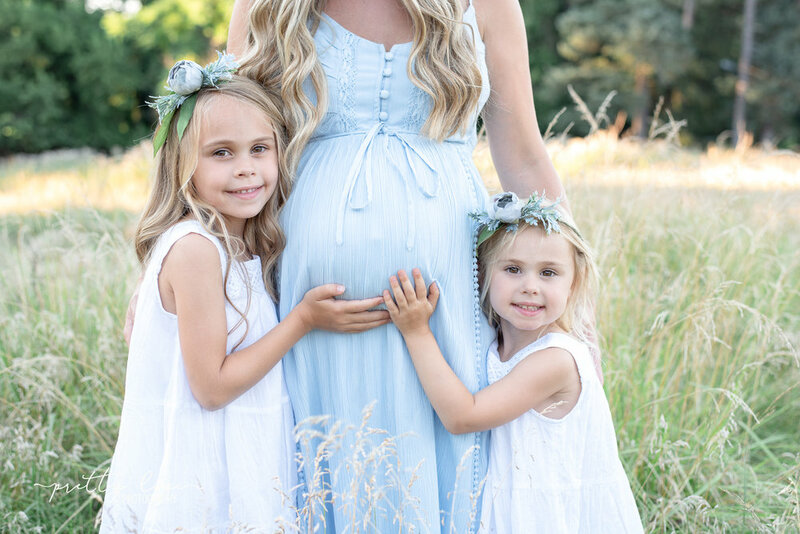 Kerry is always working with me behind the camera and to be able to capture her with her girls was such a special moment. We take photos of each other with our families here and there but very rarely do we do an entire session on one another. I loved the pressure of wanting her to love all of the photos! The weather was perfect, and the lighting was impeccable so clearly this session would go without flaws, right? Before taking one photo we stepped into the tall grass and Kerry got stung by a bee! Of course! However after that it was a super fun time. 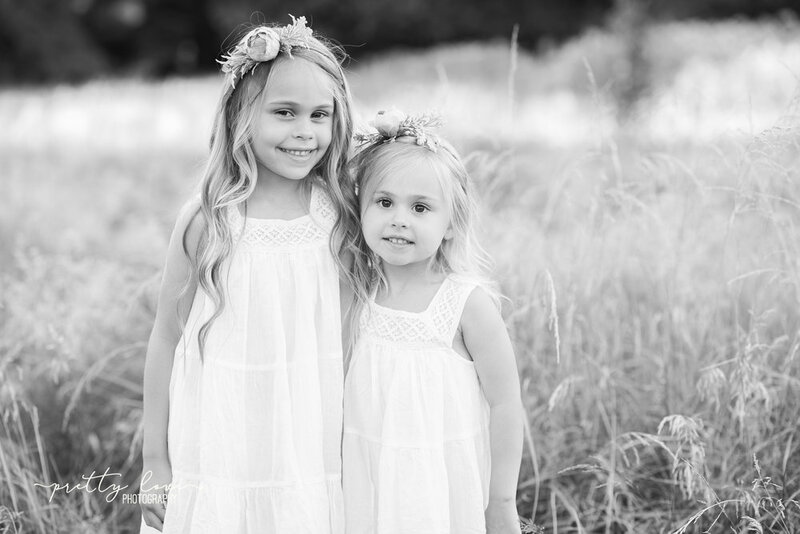 Layla and Jordan are two of the cutest little girls you will ever meet. Layla has such a sweet and genuine nature to her that shows in the photos. Jordan is also very sweet with just a little extra sass on top! I couldn't love this family more and cannot wait to capture the birth of their new brother/son! I cannot wait to kiss an snuggle him. He is going to be one spoiled and very loved baby boy!